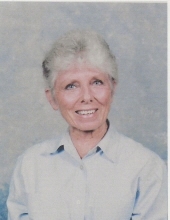 Nancy Carroll King, of Columbia and Edisto Island died February 21, 2019. Born October 1, 1925 in New York, NY, she was the daughter of the late Richard and Eva Howell Carroll. Educated in Greenwich and The Art Students League in New York, she was a painter and graphic artist. Her work is represented in private collections, The Columbia Museum of Art, and Readers Digest. She illustrated the Greenwich, CT Town Report for eleven years, winning awards for eleven years. She was one of the first volunteer girl lifeguards at a public beach in Greenwich during WWII when most able bodied boys were serving their country – a graduate of all American Red Cross Safety, Small Craft, First Aid and CPR instructor Training courses, she taught all programs in Columbia, Fort Jackson and was on the faculty of the ARC National Safety Schools. She taught CPR as an instructor trainer for the American Heart Association. A member of and choir member since 1964 at Saint Michaels Episcopal Church. Predeceased by husband Raymond William King, she is survived by daughter Suzanne Dunn, and sons Dr. Thomas Scott King and Randall William King, six grandchildren and three great grandchildren. Memorials may be made to the Animals Protection League, The Animal Mission of the Midlands, The Nature Conservatory, or Saint Michaels Church. To send flowers or a remembrance gift to the family of Nancy Carroll King, please visit our Tribute Store. "Email Address" would like to share the life celebration of Nancy Carroll King. Click on the "link" to go to share a favorite memory or leave a condolence message for the family.